The city of Beverly Hills loves Ferrari. The Italian marque feels right at home cruising Santa Monica Boulevard, Wilshire Boulevard and of course, Rodeo Drive. What better place for Ferrari to celebrate its 60th anniversary in the United States, than in this Southern California city best know for wealth, celebrity and fast cars. 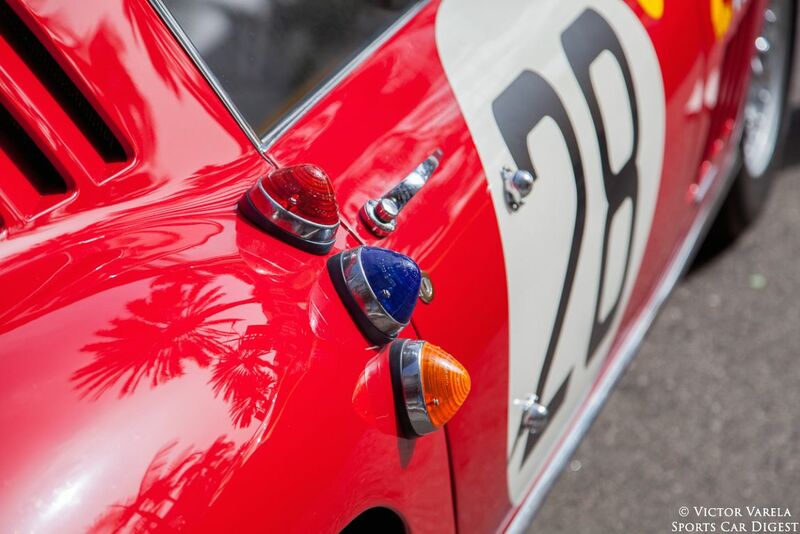 Over 1,000 Ferraris gathered in the streets of the 90210 for the “Race Through The Decades: 1954-2014” event, making this one of the largest gatherings of Cavallino Rampantes in history. Rodeo Drive served as an outdoor museum for 60 of the most iconic Prancing Horses ever assembled in California for this historic display. 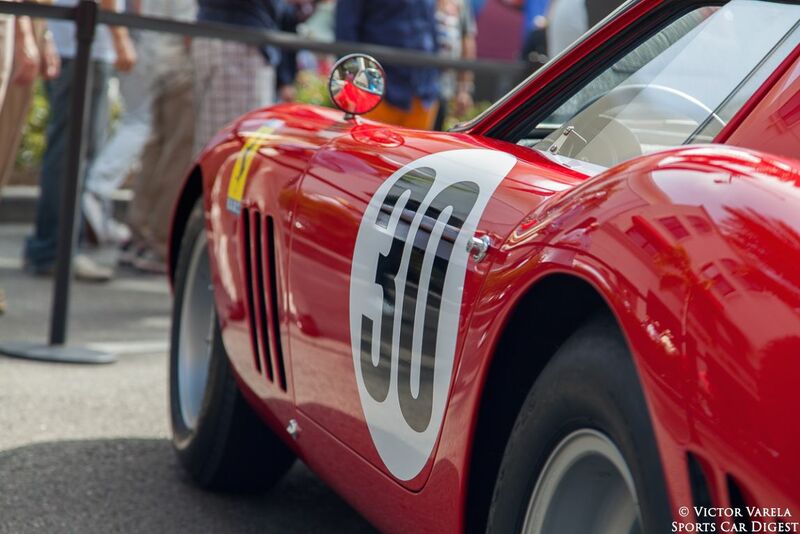 Among these were several race winning cars – 1963 Ferrari 250 GTO 4293 GT; 1961 Ferrari 250 GT SWB Berlinetta ‘SEFAC Hot Rod’ Comp/61 2689 GT; 1967 Ferrari 330 P4 0856, the only original 330 P4 remaining; the “winningest” Ferrari, the ex-John von Neumann 1957 Ferrari 625/250 TRC 0672 MDTR; 1949 Ferrari 166 MM Barchetta 0008 M; 1964 Ferrari 250 LM 5893 LM and 1957 Ferrari 315 S 0684. Some very notable road cars included the very first Ferrari in the United States, the 1948 Ferrari 166 MM Barchetta 0002 M; the 1955 Ferrari 375 America 0355 AL, the 1954 Turin Auto Show car custom built for Gianni Agnelli and the 1954 Ferrari 375 MM Scaglietti Coupe, which in 2014 became the first Ferrari to win Best of Show at the Pebble Beach Concours d’Elegance. 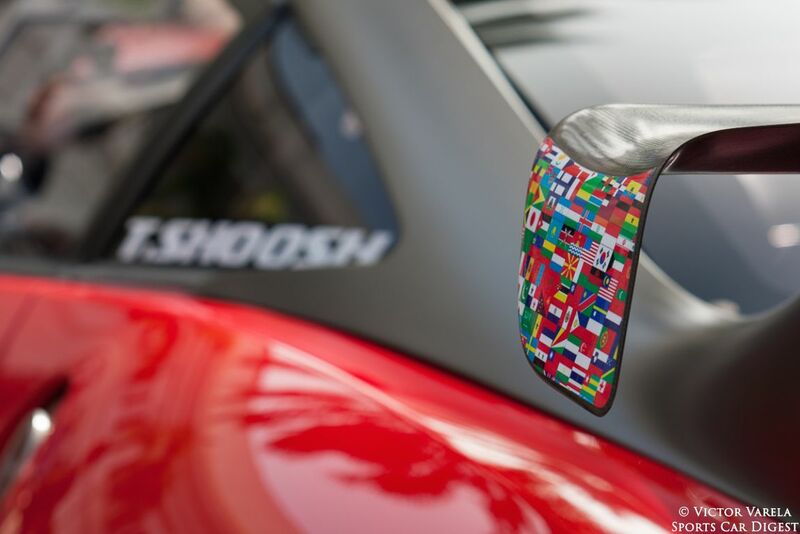 The main event during the day’s celebration was the first worldwide unveiling of the limited-edition F60 America, commissioned to pay homage to the important and enduring relationship Ferrari has enjoyed with its American clients. Among the VIPs during the unveiling were John Elkann, Chairman of FCA; Piero Ferrari, Vice Chairman of Ferrari; Sergio Marchionne, CEO of FCA; Amedeo Felisa, CEO of Ferrari; Bruce Meyer, founding chairman of the Petersen Automotive Museum and TV personality Mario Lopez. Also making its debut in the United States was newest edition to the Ferrari stable, the first 458 Speciale A. 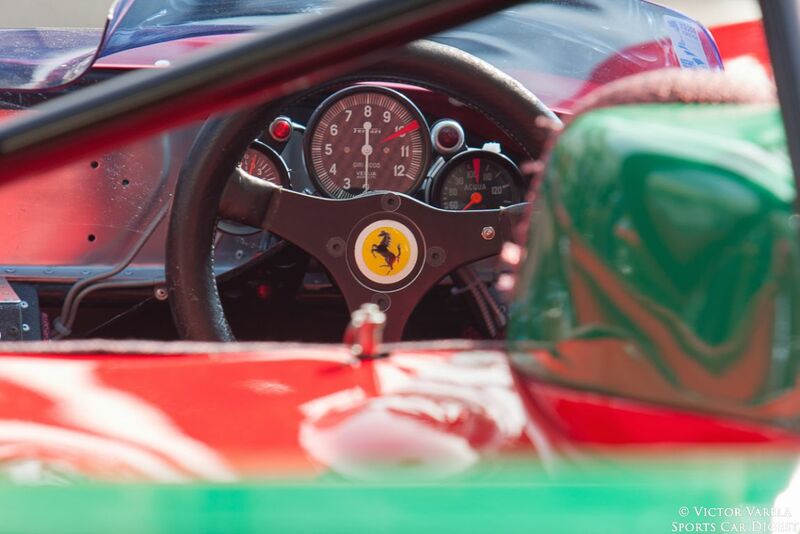 Aside from all the collectors, Ferrari clients and VIPs who were part of this historic occasion, fans of every age attended this free event to drool and admire the hundreds of Ferraris on display under the warm California sun – making this a truly special, automotive event. The event ended on a high note as I had the pleasure of meeting Piero Ferrari at the end of the F60 unveiling and he was gracious enough to shake my hand and autograph my press card. 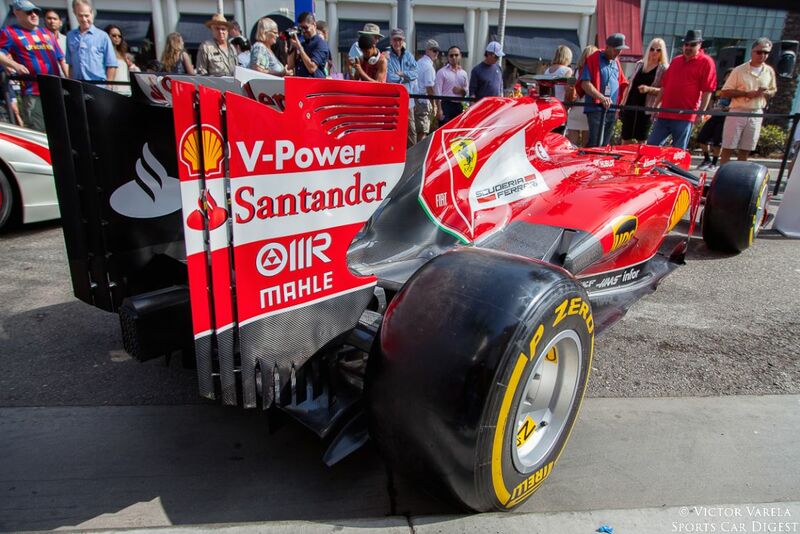 Victor Varela documented Ferrari 60th Anniversary in America celebration. We split up Victor’s pictures into two galleries. The first gallery starting below features our favorite images, all displayed in the full-width view of Sports Car Digest, while the second gallery can be found on the last page of the article and gives a comprehensive view of all the photographs. To see more from Victor, visit VictorVarela.com. “marquee”? In the first line of your text?!?!? Seriously. It’s time to learn how to spell. It’s “marque”. Geez, you guys are tough. The buck, as always, stops with the editor. Hate to let you in on a secret, but we do know how to spell marque. This one slipped past the goalie though. I have a tip for Walter in regards to credibility. When critiquing spelling and grammar, pay close attention to your own. Your rant is rampant with errors. If I were critiquing your English, then I wouldn’t know whether to begin with sentence fragments, punctuation, or simple capitalization. For Jeff, avoid starting sentences with a numeral unless you are a student of Walter’s school of colloquialisms. Much nicer response than they deserved. What pricks. Really!? First comment out the door is to point out a small typo? Who doesn’t love the smell of sarcasm and condescension in the morning. Seriously, leave this kind of attention grabbing for Facebook boys, and focus on the STORY and the IMAGES… it’s all about the cars and racing here and not to draw attention to the size of your dictionary. 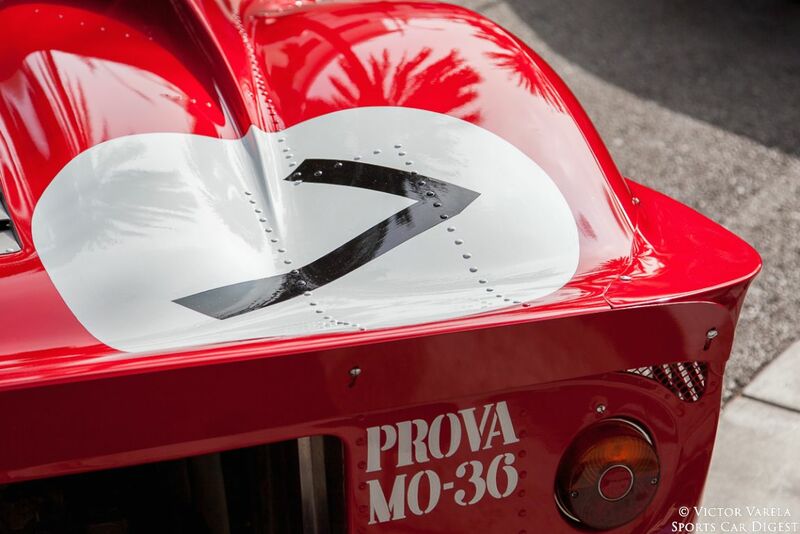 Speaking of images, these are great photos, Mr. Varela, thanks to you and to Sports Car Digest. You are very welcome, Don! Love the detail shots! 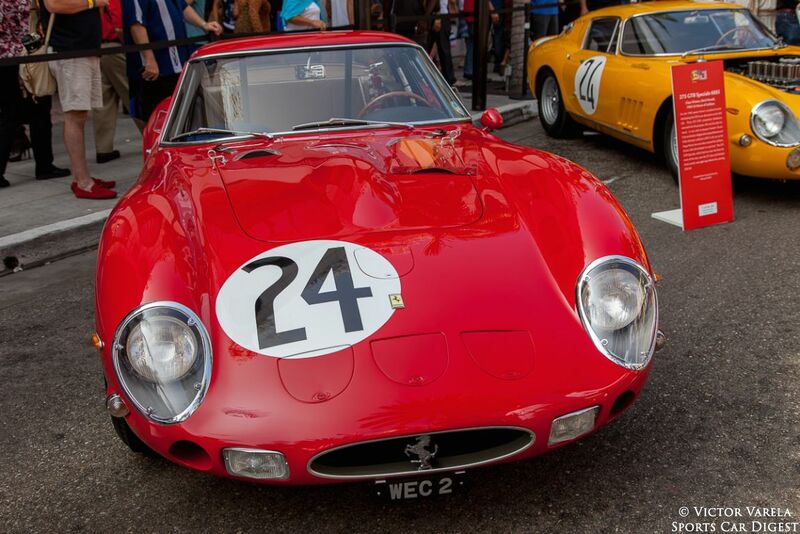 That 312P, wow what a cool race car, my fave! Thanks, Mike. I always appreciate the nice comments you post about my images. They’re beautiful cars – all of them. But I didn’t know that they ‘…were assembled in California…’. If I had, then I wouldn’t have travelled to Maranello to see the factory! Just a foot note for those who may not be aware: FCA in these titles refers to “Fiat Chrysler Automobiles”, not Ferrari Club of America. Beautiful photos as ALWAYS!! Many thanks for covering the event! Sincerely David Curro Director – North Central Region – Ferrari Club of America. 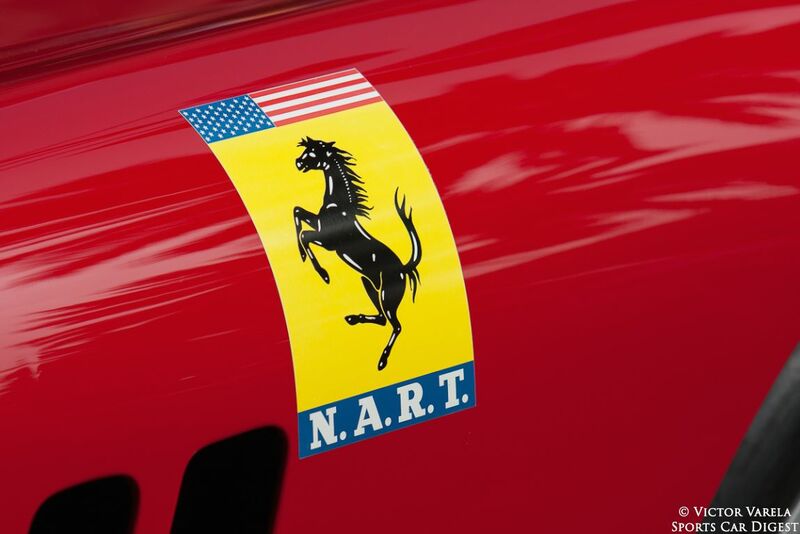 Thanks for the foot note on the FCA acronym as I’m sure many thought it to be the Ferrari Club of America. Thanks for the kind words on the images and it was a pleasure to cover this event and to share the images of all the rare and wonderful Ferraris that were present. You are very welcome, Mr. Brock. It was a very special event and I enjoyed capturing the images of all the truly unique and historic cars that were shared by their respective owners.